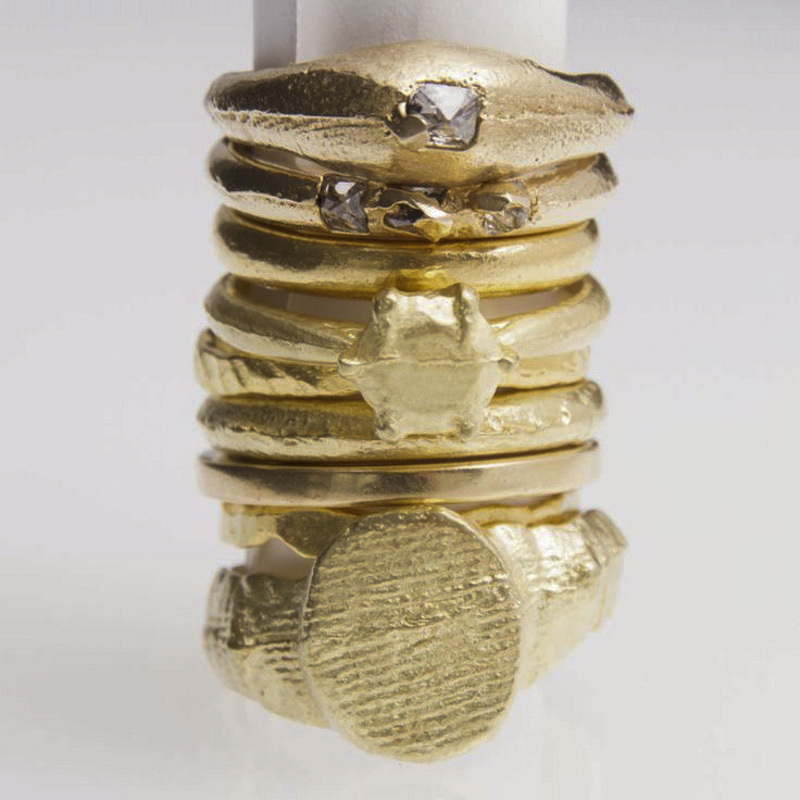 Above: An assortment of Sian’s gold ring designs, including the Senate Ring, the Solid Solitaire Ring and the Signet Ring. Sian’s rings are all handmade and often with ancient techniques that result in textures and unique markings. On the 5th day of Christmas, my true love followed the playbook and gave to me 5 gold rings from London-based designer and ethical — of course — jeweller Sian Evans. After a successful career of designing fashion jewellery in the 80’s and 90’s where she was producing 4 collections a year for the fashion weeks in London, Paris and New York and her jewellery was selling in the States, Japan, Europe, Sian decided she wanted to create jewellery in a different way. Above: After — A set of rings that Sian has repurposed from a client’s existing set of jewellery. Above: Before — The set jewellery that a client brought to Sian to rethink, redesign and remake. If you want to know more about Sian and her jewellery design and making process, read Slow Jewellery Stories: Sian Evans.